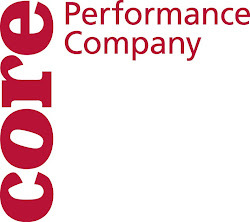 CORE Performance Company: Weeee're BAAAAck! After a month-long hiatus, CPC started back with class and rehearsals for the remainder of the 2009/2010 season. Company Manager D. Patton White taught class this morning (yes, I did just refer to myself in the third person), and structured the class to encourage a fair amount of improvisation both at the individual and partner levels. We had a visitor, Terry, who was one of our Fieldwork participants last Fall. The company jumped back into development work on The Point, with Sue Schroeder directing the dancers through many more improvisations. During Checkouts, when everyone shares what they have experienced during the rehearsal, Alex shared that he really enjoyed a particular improv moment when he was cradling Claire's head in his hands. OK, it's a bit scary when you refer to yourself in the third person Patton. The photo of Alex and Claire is beautiful. I can't wait to see how this work develops.